It is no exaggeration to say that Cy’s musical career brought him into contact with a tremendous number of celebrities of the day, many of whom became his professional colleagues and personal friends. Perhaps there is no greater proof of this than the three‑page mailing list which follows, a list of names and addresses maintained by Cy, presumably for sending out notices of his club or other appearances. 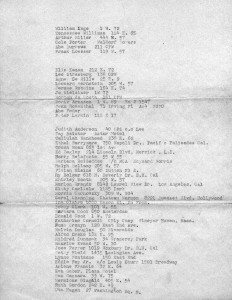 The list reads like an “Who’s Who” of entertainment and business society of the mid‑Twentieth Century, with an incredible array of people who were themselves notable for their own fame and success. This document becomes particularly fascinating when read in conjunction with Cy’s 1966 Diary, in which he meticulously recorded, night‑by‑night, those who came to hear him perform at the Drake Room. 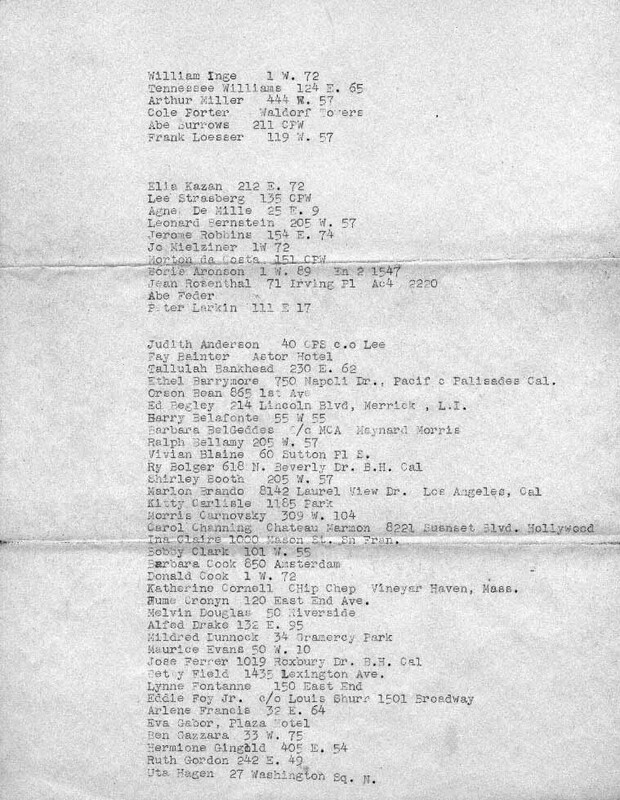 The 1966 Diary and this mailing list demonstrate how Cy’s talent was shared, on both a daily and long‑term basis, with both the rich and famous and also with first‑time listeners who had somehow learned, quite fortunately for them, that hearing Cy Walter at the Drake Room was a treat not to miss.